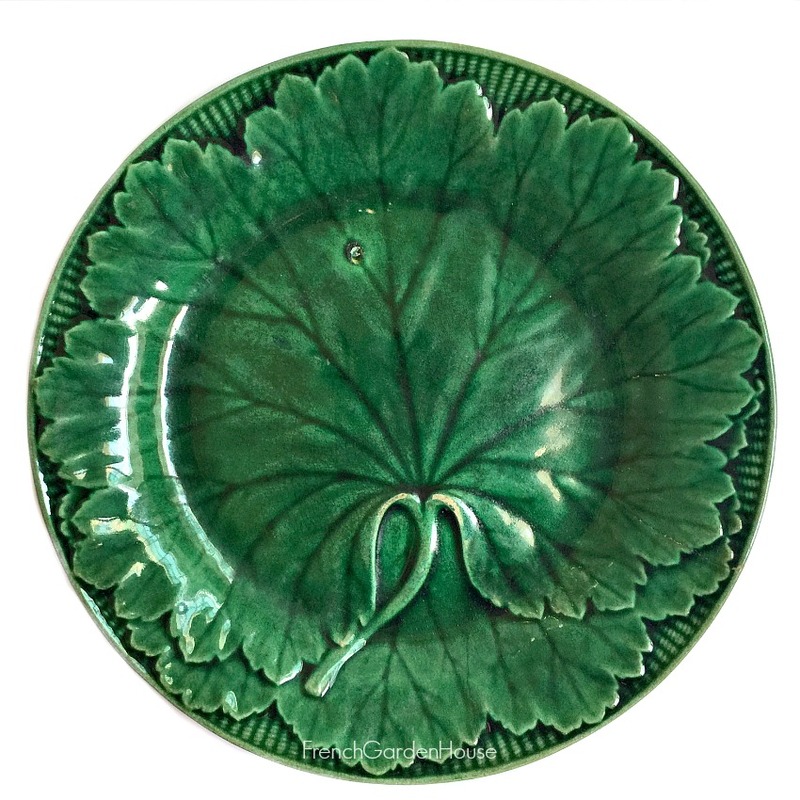 Antique Wedgwood Dark Green Majolica Leaf Plate with a beautiful basket weave border. 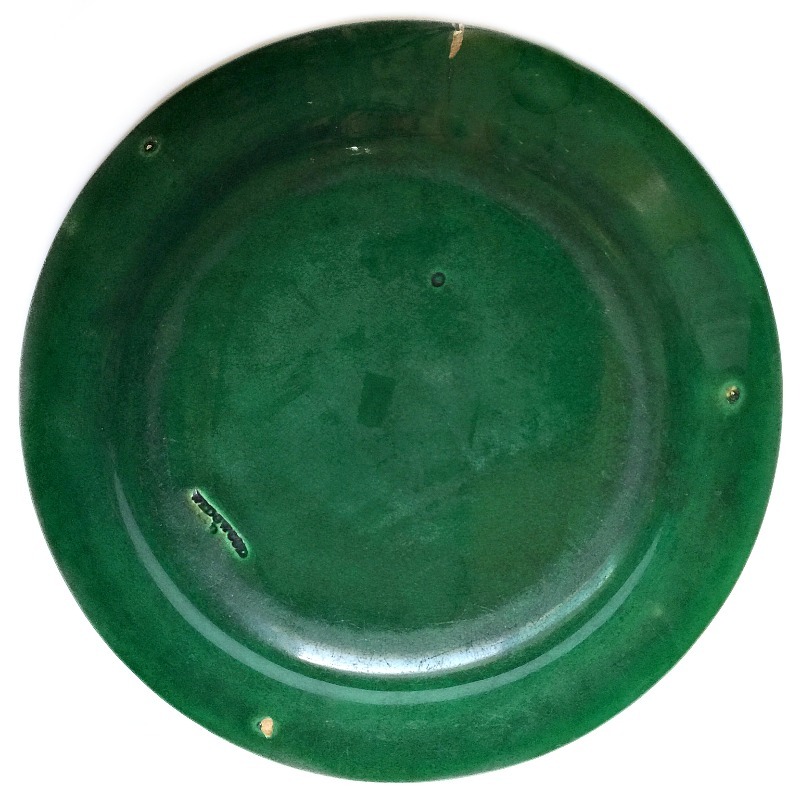 Slightly iridescent, a characteristic of Wedgwood majolica, this is an early plate marked with incised WEDGWOOD, made in the 1860's. 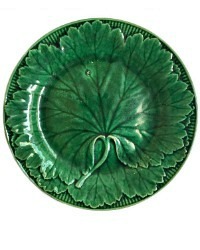 This plate shows the wear and a glaze pop of the early examples. 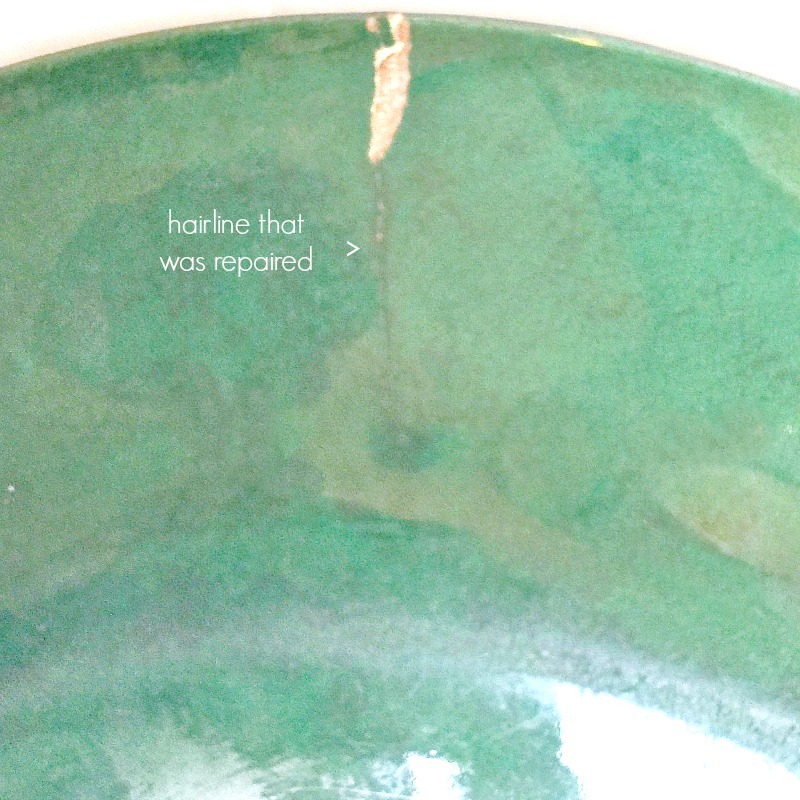 Oh, and yes, it does have a tight hairline that was repaired with glue long ago. I forgave it all that because it's such an early plate. Perfect to decorate your English or French Country home, on a wall or cabinet display. From an heirloom estate collection, please only buy this if you can love the grace of her many years.